I am upgrading my 1996 Cannondale from downtube shifting to STI. I removed the original shifters, but the cable stops won't sit flush against the frame because of the shift bosses left over from the downtube shifters. The current bosses were designed to provide a flat base plate surface for downtube shifters to fit over. 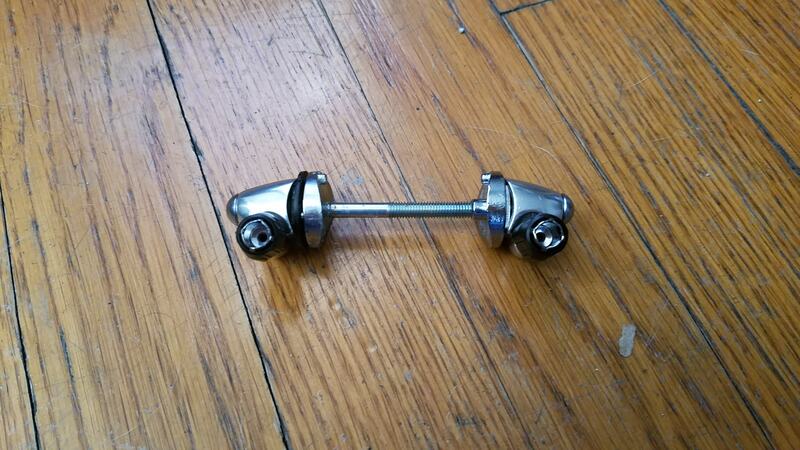 I have basic Shimano stops, rounded to fit over a round downtube. Upon closer inspection, I saw that the entire boss mechanism is removable. 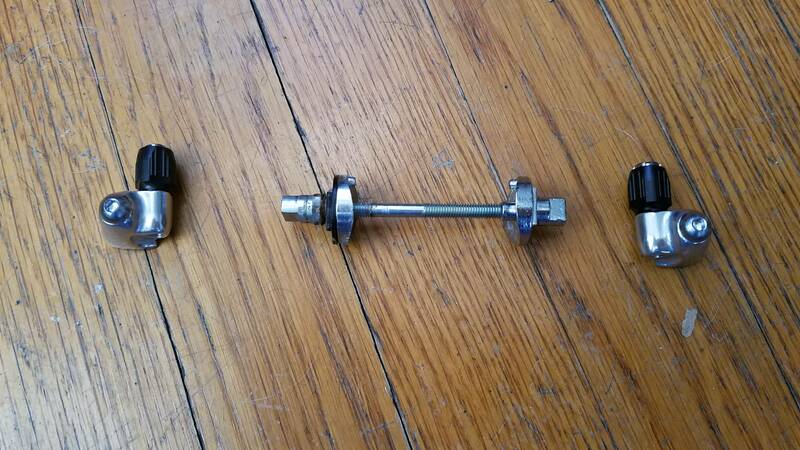 I removed it, and the mechanism consists of a screw going through the frame that the bosses screw into, then the shifters screw into the bosses. How do I install my cable stops on this? 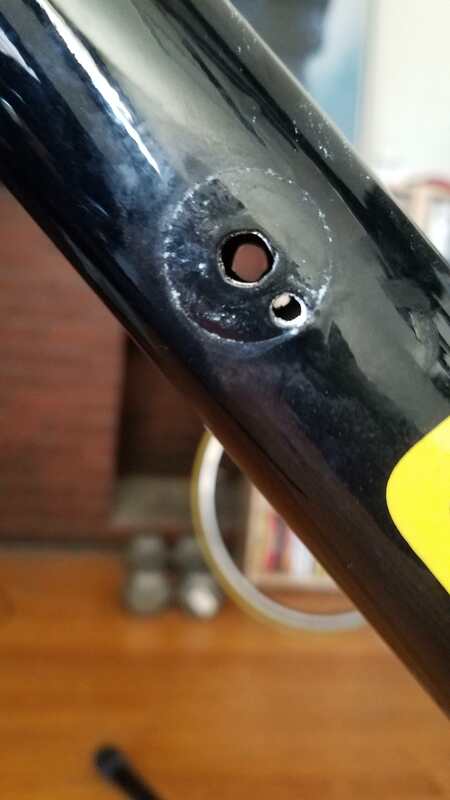 The example frames that I have seen in YouTube videos about changing from downtube to STI involve brazed on downtube shifters and the cable stops sit flush with the frame upon installation. So, now all you have to do is custom fabricate something that will satisfy your desires..
Find some different ones. My cable stops fit flush to my '91 Paramount Frame. But I don't know who made them. I bought the frame with them already installed. 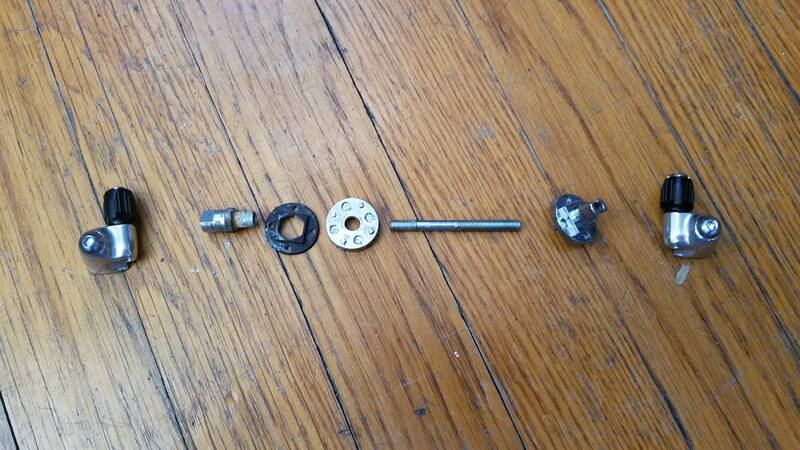 I'm thinking my downtube shifter bosses are braze on, so that might account for some of why they fit flush. Otherwise it's going to be up to some customization you figure out. Shimano cable stops were offered in two configurations: a curved base to match "standard diameter" downtubes (1-1/8" diameter) and a flat base for "oversized" downtubes. Your Cannondale is certainly oversize. Thanks for this, I didn't realize there were different kinds of cable stops since the curved ones are so much more common online. I just ordered a set of flat base stops, hopefully those fit well. mill the convex sections on each side of the concave of base. It should allow enough curvature for the base to hug the tube. If the internal depth of the boss cover is good, then it would only take a few seconds to file flat. That is, if you could figure out how to safely hold them in a vice. But, hopefully your flat cable stops will work.